Fans of Marisol McDonald Doesn’t Match/Marisol McDonald no combina won’t be surprised to see the girl of many styles struggling to decide on a theme for her eighth birthday party. As if that weren’t hard enough, Marisol is faced with the prospect of not being able to see her abuelita, who lives in Peru, on her special day. Her friends are in for a huge surprise when they turn up for world’s most eclectic clash bash while Marisol happily gets her wish granted to see her abuelita. 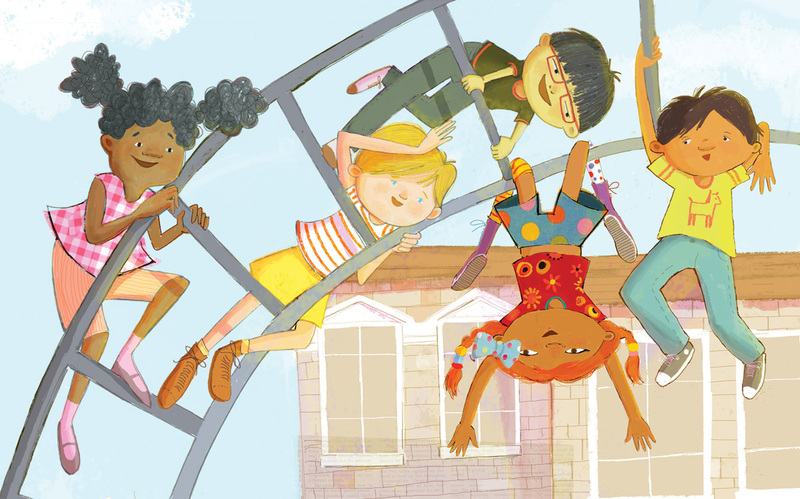 Drawing on her own unique mix of Peruvian, Scottish, Spanish, Amerindian, and Jewish ancestry, author Monica Brown follows the first Marisol adventure with another fun story about embracing one’s uniqueness and Sara Palacios (Pura Belpré Honor) brings the loveable Marisol back to life with vibrant mixed media artwork. 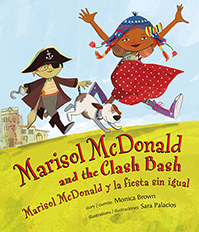 Read more about the book and enjoy a few bonus images on the Marisol McDonald and the Clash Bash page.